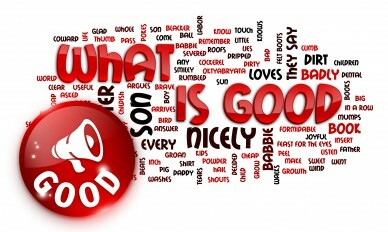 Logos «What Is Good» presented in the form of raster images of different formats. Present both options with a background (white) and without it (transparent background). RGB color model.